Champagne (almost skin) colored dial. Hour markers in a mix of Arabic Numerals & dot markers. Fine neon-orange printed minute track with gold dots at 5 seconds/minute increments. 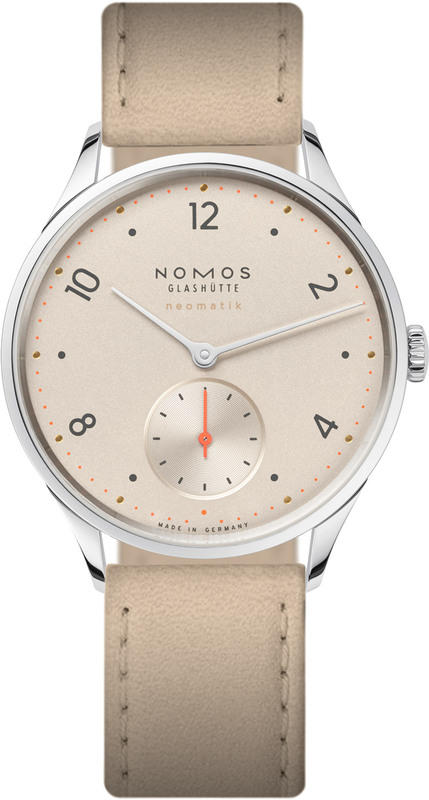 Small seconds sub-dial with neon-orange hand. Measures at only 3.2mm thick. 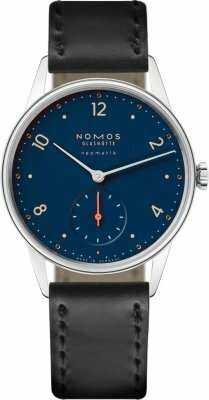 Despite it slim profile the movement is extremely precise. Approximate power reserve of 42 hours. 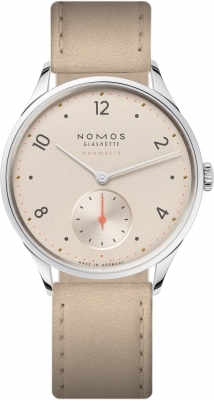 Equipped with the NOMOS swing system. Bi-directional winding rotor, that stops turning when the mainspring is fully wound. 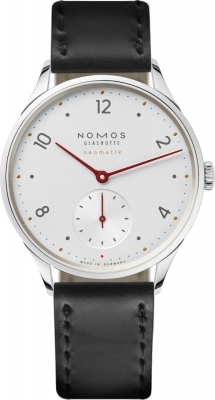 Rhodium plated surfaces with Glashütte ribbing and NOMOS perlage decoration.